Are you looking for your very own designer pool or concrete spa? 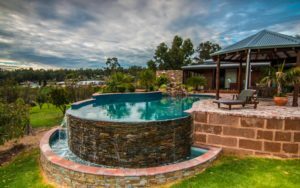 Infiniti Designer Pools are Perth Western Australia’s leading shotcrete swimming pool construction company. We design, construct and deliver exquisite custom built swimming pools at all specification levels from residential through to commercial. 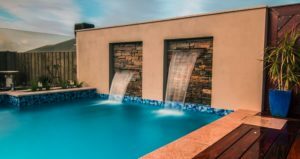 Infiniti Designer Pools specialise in all aspects of the design and construction of infinity pools,lap pools, concrete spa’s, and custom concrete swimming pools. Our team of highly skilled industry professionals ensure that swimming pool project outcomes are always delivered on time and on budget. 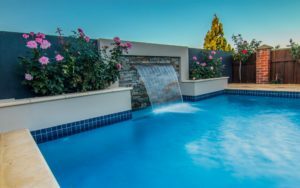 If you’re looking for a Perth based, hands on swimming pool builder for your concrete pool or spa, then call us now. "Getting Russell and Chris from Infiniti Designer Pools was the best decision we could have made. From the initial design presentation to the finished product it was an excellent experience. We appreciated the personal attention and willingness on their part to change and add to the plan. While we were away they even took time out to water our lawn and email us photos to keep us updated on the progress. At the end of the day they made sure everything was tidied up. The level of work and finish is of excellent quality and added to the value of our property. They kept every promise they made and stayed within budget. We could not have done any better than Infiniti Designer Pools." "I would like to sincerely thank Russell and Chris from Infiniti Designer Pools for their help in the design and building of our new pool. The excellent service they provided made the design, construction and commissioning a very easy process, which has far exceeded our expectations. 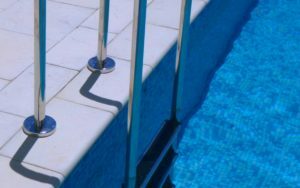 Their knowledge of products has proved to be invaluable, from recommending the use of a robot cleaner which provides silent cleaning, to positioning the skimmer box to take advantage of wind direction which means the pool stays cleaner. The after sales service is second to none with regular follow up calls to ensure that everything is operating as smoothly as possible. Their knowledge and expertise of the installation has made for a very low maintenance end product. To summarize from start to finish the process of design and installation has been excellent, and trouble free with regular consultation. If you are looking for a company to install a new pool I would highly recommend Infiniti Designer Pools." 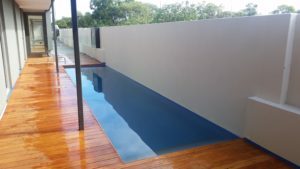 "I am a construction supervisor and we have used most of the pool companies in Perth for custom pools as part of our residential construction projects. Most companies didn't deliver the high level of workmanship that I expect. Chris and Russell from Infiniti Designer Pools are without doubt the most professional pool company to deal with in Perth. Always on time, very professional and very hard working. I've used them on multiple projects and will continue to do so. with my new building company." "Infiniti Designer Pools are an awesome company, they are great to deal with, very professional and have a great team working for them. They helped us organize all of our decking, paving, pool fencing and solar heating. Nothing was ever too much trouble and they were so efficient from start to finish. We always knew what was happening in advance. The pool looks great during the day and at night it looks magical when all the lights are on We would build again with them in a heartbeat and recommend them to anyone." 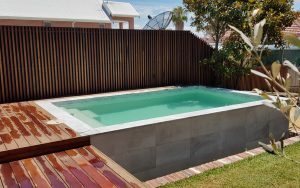 "We couldn’t speak highly enough of the service that Infiniti Designer Pools provided for our pool build. From start to finish every step of the process was carried out to the highest standards of quality and with great attention to detail. We also valued the high-end design and stylistic direction provided by Chris and Russell. Our family will always be appreciative of how the guys transformed our small backyard into our own slice of paradise."